Winning over FSBO leads felt easier said than done in those days…mostly because I didn’t have great FSBO scripts to work with. Don’t be like young me, take The Close shortcut. Here are five great FSBO scripts, including the Tom Ferry FSBO script that I used to get my first listing. Rockstar Realtors who are converting FSBOs like crazy will tell you that getting in the door is the most important step to getting a listing. If you can manage to set an appointment and get yourself across the threshold of a FSBO seller’s home, you’ve got a fish on the line, all you’ve got to do is reel them in. Of course, getting in the door is no easy task. That’s why we love this FSBO script from Tom Ferry. Hi, I’m looking for the owner of the home for sale.This is (name) with (company). As an area specialist, my goal is to know about all the homes for sale in the marketplace for the buyers I’m working with. Do you mind if I ask you a few questions about your property? I know the ad in the paper said it had (#) bedrooms and (#) baths, are the rooms a good size? Have the bathrooms been remodeled? Would you tell me about the yard? Tell me about your neighborhood: Has it been a nice place for you and your family? Is there anything else that’s important to know? You know, with as many homes as are on the market right now, what are you doing differently to market yours? What else? OK, so I have to ask, if there was an advantage to using me as an agent to market your home, and it got you a higher sales price, would you consider it? I know you chose to sell your home FSBO for a reason, I respect that. It also sounds like you’ve got a lot going on and a lot you’re trying to accomplish, and I think I could help. How about we get together for 20 minutes or so, we can talk more about your goals, and whether or not I could help you achieve them. I have some time on __________ or ___________, which would be better for you? I look forward to meeting with you on (___), thanks again and have a great day! First of all, the entire conversation is seller-focused. Every question is about the seller’s property, the seller’s needs, the seller’s desires. People love talking about themselves. Why not give them that opportunity? Secondly, the conversation starts off with an earnest desire to be more informed about the market and its offerings. Regardless of whether you get this listing or not, this is valuable information that you could leverage with a buyer down the road if the listing doesn’t work out. Need help finding FSBO leads fast? REDX scoures the web for all the places that FSBO sellers advertise their property for sale. They even put all the listings in one place with contact info, listing price, and other publicly available helpful data that can make your first conversation with a FSBO much client easier. Check out REDX to harness the power of your own FSBO dashboard. Most FSBO sellers are trying the do-it-yourself approach for one simple reason: money. For many homeowners today, this is a legitimate concern. For example, a homeowner who purchased their property two years ago may not have enough equity combined with the maturation of the market to be able to break even on a sale when you factor your commission. At least, that’s what they think. Check out what David Hill does to help quell these concerns. We’ve inserted some hypothetical responses here so you can see how Hill deals with answers that aren’t always affirmative. Hill does a couple of things that really make this an effective FSBO script. First off, he creates a level of camaraderie with the seller, identifying with their needs and commiserating with their pain points. Also, we love how Hill seals the deal by admitting he may not even be able to help them. That sort of openness goes a long way to landing a listing. 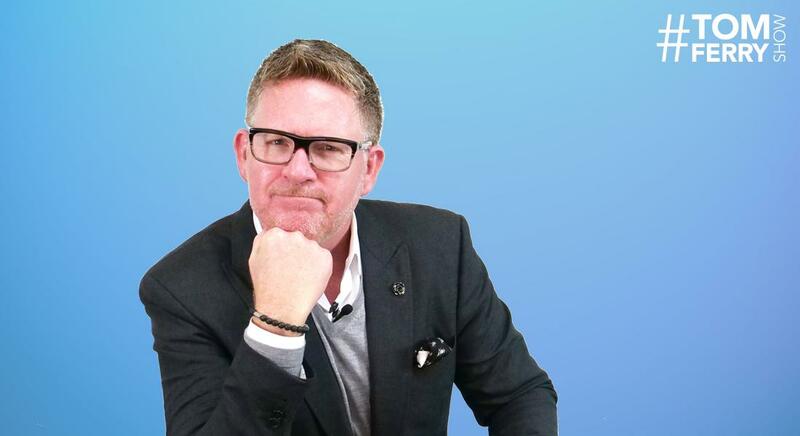 We all know that Tom Ferry is a powerhouse in the real estate coaching field, but did you know he isn’t actually the OG of the Ferry family when it comes to this line of work? His father Mike Ferry has run a very successful real estate coaching and mentoring business for over 40 years, and has some fantastic information to share on the topic of FSBO scripts. Check out Mike’s strategy on getting your prospect to describe what they’re looking for in the agent they didn’t even know they wanted. Hi, I’m looking for the owner of ___________. Am I speaking to them? My name is ___________ from ___________, do you have just a second to answer a couple of questions about the sale of your home? First of all, just because I’m curious, if you sold this home, where would you go next? That’s exciting! How soon do you have to be there? How would you rate your motivation to move, on a scale of 1 to 10? What methods are you using for marketing your home? That’s great! How did you determine your sales price? Are you prepared to adjust your price down when working with a buyer? Why did you decide to sell yourself, rather than list with a real estate agent? If you were to list with agent who would you list with? How did you happen to pick that agent? If you were to list with an agent, what would you expect the agent to do to get your home sold? How much time will you take before you will consider interviewing the right agent for the job of selling your home? What has to happen before you will consider hiring a powerful agent like myself for the job of selling your home? Tell you what: How about we put a date on the calendar for me to come chat with you about your home after ________. If you sell it before then, great! If not, let’s talk about what I can do for you. How does that sound? There is a reason Mike Ferry has been around for so long: this script is a sly way to get your prospect to give you a roadmap of what it takes to get hired. We love how he gets the FSBO to drill down into what is going to be important in an agent. Also, even though it isn’t a listing appointment immediately, it gets a date on the calendar, one that you can follow up on later, and keep communication going in the interim. If you’re an agent with a lot of buyers, having a solid script to work with FSBO sellers is a must. A proven dialogue that will get you in the door of FSBO homes gives you access to relatively exclusive listings that the rest of the market may not be aware of, giving you another way to market yourself to your potential buyers as the agent with the “insider info”. Check out how the collective Agent Mastermind approaches getting buyers in the door of FSBO homes. Hello may I please speak to the owner of the home for sale at ___________________? I understand that you’re selling “For Sale by Owner” and I’m not trying to interfere with that, I was just wondering are you cooperating with buyer’s agents? Oh sure, let me clarify that. When I say “cooperating”, I mean, if I am working with a buyer that makes an offer, are you willing to pay the standard ______% commission in our area for a buyer side only? Do you mind telling me a little bit about your home? That sounds really nice. I’ve got a couple of buyers right now that I think would be interested. Is there a time I could come by and take a look at the property before bringing my clients through? This is a short and sweet script that buyers’ agents should have in their back pocket at all times. This script does a great job of both communicating in a non-threatening way, and at the same time sounding serious and professional. Remember, your FSBO prospects may not be hip to a lot of Realtor lingo, so when you use a term like “cooperating”, make sure you are prepared to explain it in layman’s terms! Sometimes having a plan of attack for different answers to your responses is helpful. We love how Breakthrough Broker took the FSBO script and turned it into a flowchart so you can help alter your approach midstream if necessary. If you can feel the hair on the back of your neck stand up when you start to hear “no”, it’s great to have a plan for that. By creating a flowchart, you have an answer to get yourself past the first no, which is often the toughest roadblock for Realtors to overcome. Now that you’ve got your FSBO scripts, let’s make sure we’re all on the same page as to the best way to use them. Here are some helpful hints that you can use to make sure you are getting the most out of each of these. Rehearse Your FSBO Scripts: Find another Realtor who you can use to practice delivering your scripts to. Why another Realtor and not a friend of a spouse? You want to practice with someone who is familiar with the sorts of objections you’ll hear so you can get comfortable with moving the conversation forward even with objections. Choose the Best Time To Call: A study by Lead Response Management suggests that the best time to reach people at home for sales calls is between 4p and 6p, Monday through Friday. But, also keep in mind, the FSBO sellers you are working with are expecting calls for their home, so don’t feel like this is set in stone. The best time to prospect FSBO homes is when you feel prepared, confident and can set aside the time on a regular basis. Use an AutoDialer: When you are dialing one or two numbers, your fingers work perfectly fine for connecting your call. But, when you have a list of 50 phone numbers you are working through, it is amazing how much time you spend physically dialing and waiting. Using an Autodialer (like REDX’s Storm Dialer) can up your calls per hour by more than 400% by dialing multiple numbers at once, only connecting you to those who actually pick up. Get a Dedicated Business Phone Number: For most Realtors, the idea of carrying multiple phones is unrealistic and sounds like a recipe for confusion. But, thanks to great VOIP service providers like RingCentral, this is no longer a problem. Get a dedicated professional phone number to put on your business cards, make and receive calls from your business phone number using your cellphone, and keep your personal contacts separate from your prospects. Cold calling can be intimidating and frustrating if you are flying blind without a FSBO script to help. Take these scripts, tweak them a little to make them your own, and get out there and start converting FSBOs into bonafide listings.